One Night. One Goal. Stop Suicide. The Overnight kicks off with a brief Opening Ceremony framed by the setting sun. 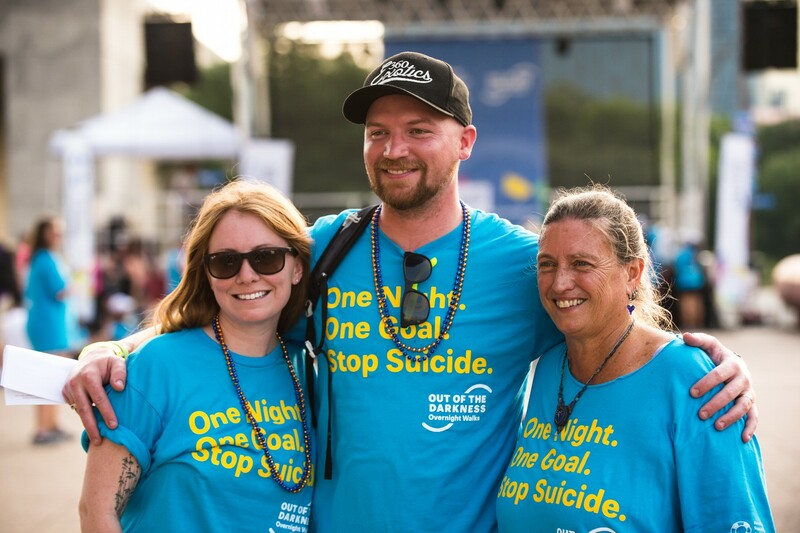 You’ll meet people of all ages and backgrounds, each with their own story that led them to take a stand against suicide. 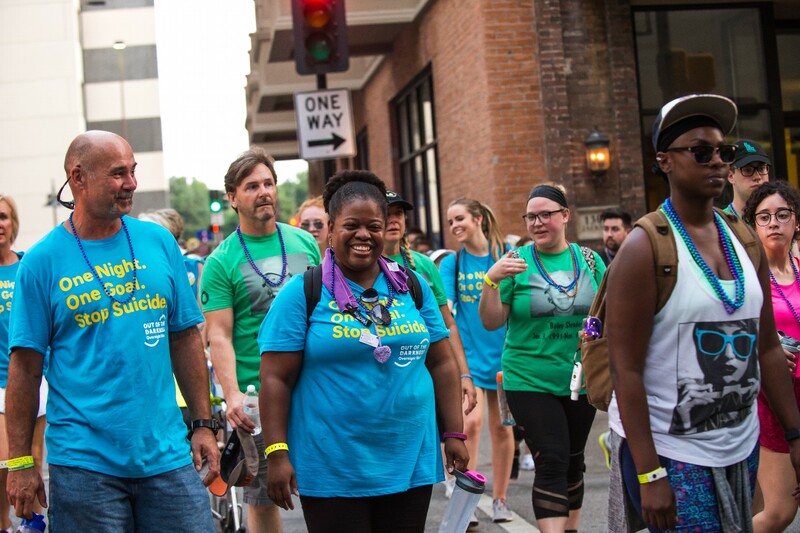 Everyone walks at their own pace, and our Crew Team is always there to support the Walkers. The route is clearly marked, and a team of Sweep Vans, Motorcycle Escorts, and bicyclists on Trail Sweep patrol the route to ensure the safety of all Walkers. Medical and Support Crew are also on hand throughout the night. 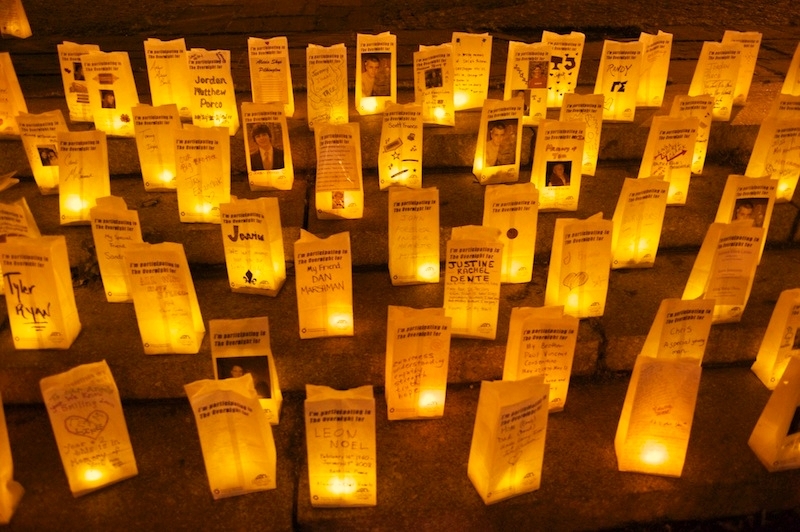 Lining the end of the route are thousands of luminaria- each one representing a life touched by suicide. They are a truly moving sight, and a reminder of the importance of our mission. The Closing Ceremony is the culmination of your journey. As the sun rises that morning, as you stand among a crowd of fellow Walkers—each with their own journey that led them to this moment—you will feel a sense of accomplishment. You will have honored those who lost a battle to mental health conditions, and you will have done your part to help others find the help they need. It’s a feeling that will stay with you forever.